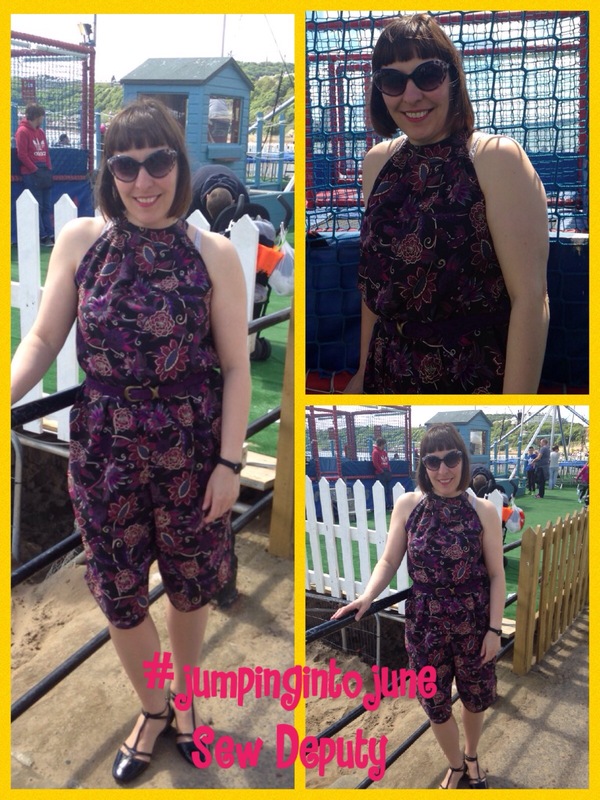 i didn’t want to bore you all with two many jumpsuit shots in part one, so here are the rest of my seaside photos of my jumpsuit. 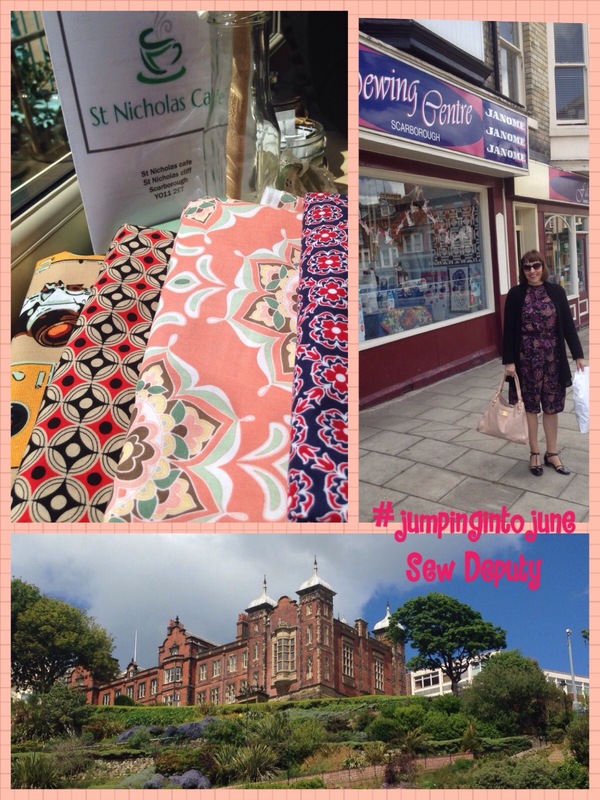 Scarborough is a very popular seaside town on the East coast and we managed a visit whilst my Mum and Dad were staying down the coast in Filey- complete with sunshine! Do you see the massive hotel? Apparently my Dad tells us that the family story is : his Grandad almost , I remind you , almost, won it in a game of cards!!!! 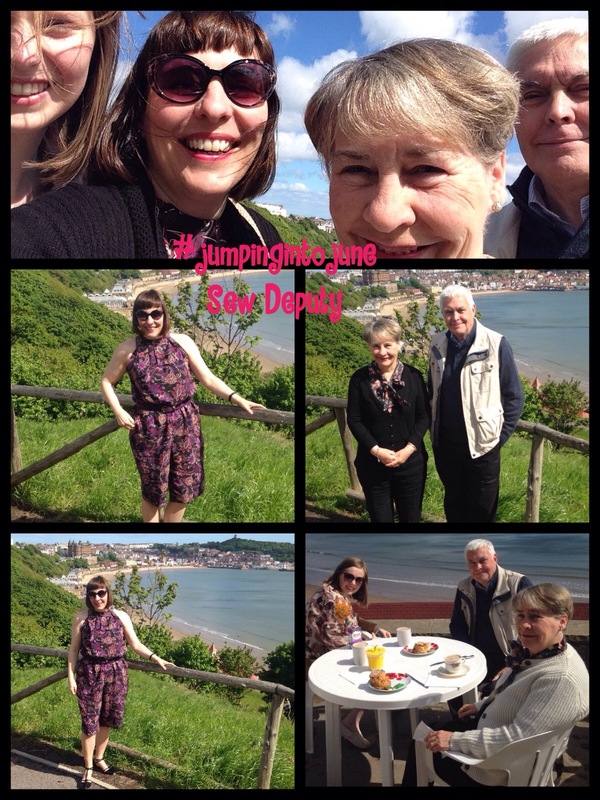 My Mum and Dad like to visit Scarborough and so are always finding new places to show us. Dad decided this painted wall would look great on the blog! 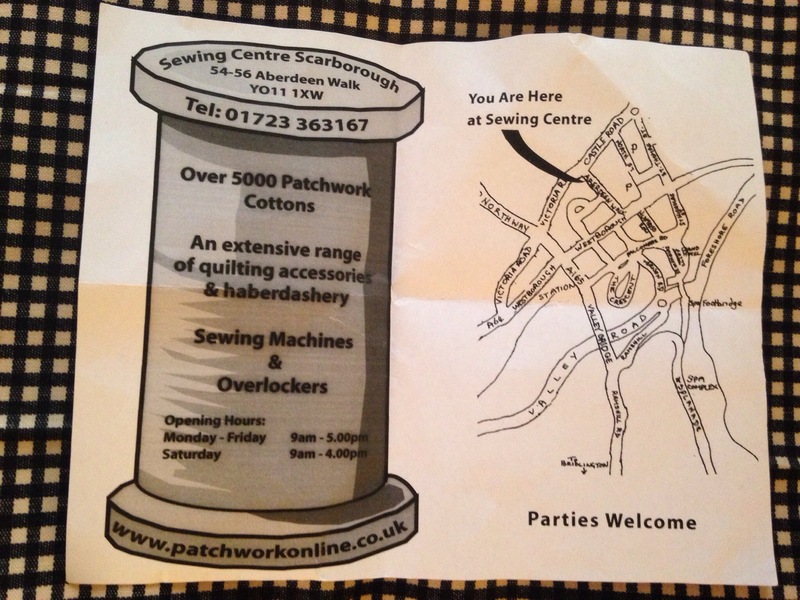 And the best bit…… A trip to Scarborough means a sneaky visit to the fabric shop. Thanks for the idea Téresa, and for organising it Chris! 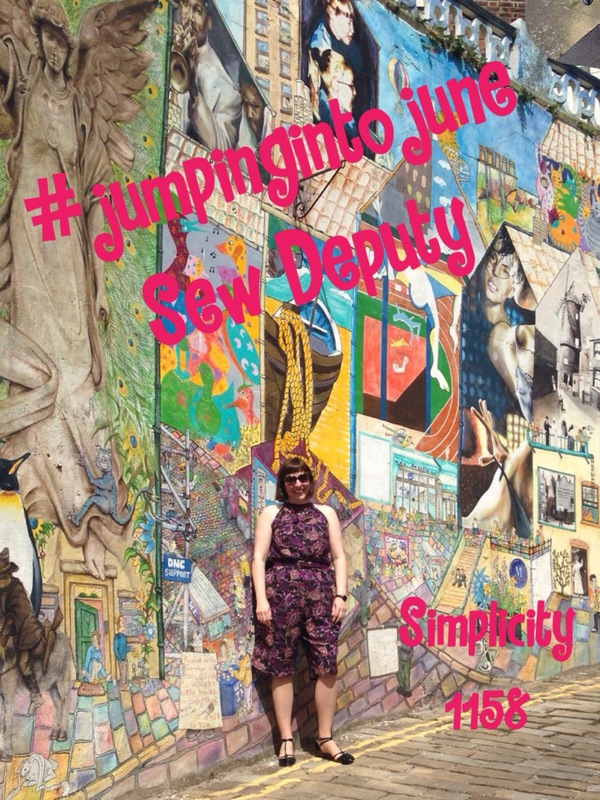 I love the shorter length of your jumpsuit!! It looks so cute and comfy! Thank you Britney! I really like it. Maybe I should try a long version…..
You’re welcome Amanda! I think a long version would be amazing!! Depending on fabric choice it could be so versatile too! Dressy or casual! I have enjoyed your posts but I am still resisting! Love the jumpsuit, and the fabric is soo cute! Thank you! 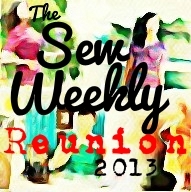 I am really pleased with the fabric ..it was just perfect for it! Haha, I am looking forward to seeing yours! Awesome! Yours looks awesome! Still need to put finishing touches on mine and talks some photos. Ooooo! Looking forward to seeing it!! 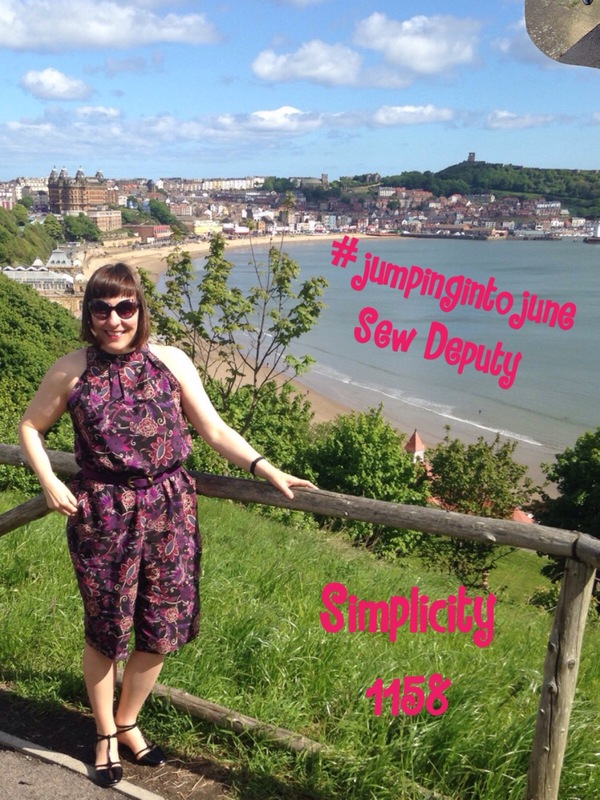 Not quite the excitement of your first post – loved the leap frogs – but still looking amazing!